The Magician shuffles and cuts the cards. Then he asks a participant to choose any card and sign it. The card is put back in the deck. The magician then tells the audience that the time has come to reveal the spectator's card. The magician then pulls out the Prince Anton Racquet and takes a couple of practice swings. He then takes the entire deck of cards and throws it in the air and takes a mighty swing at them as if serving them into the crowd. After this strange display, the magician reveals that the signed selected card is stuck to the strings of the racquet! This is an incredible stage effect that will keep the audience talking for days. 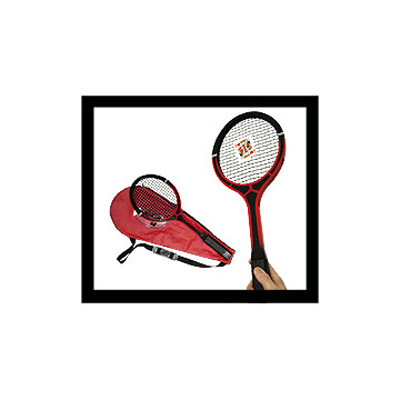 The racquet includes a carrying case and refills.